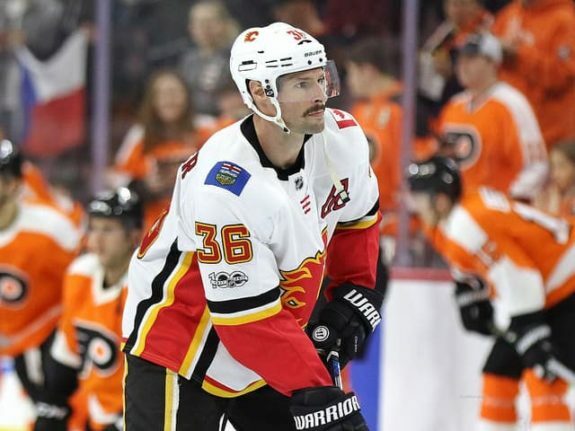 Calgary Flames | What Happened to Troy Brouwer? 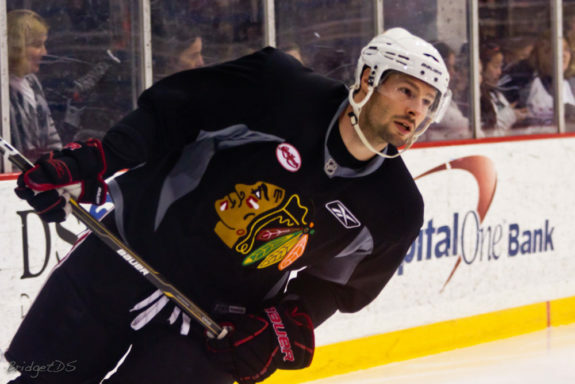 What Happened to Troy Brouwer? When the Calgary Flames signed Troy Brouwer in the summer prior to the 2016-17 season, hopes and expectations surrounding him were high. There were ambitions that he may be able to fill the void on the top line left by the departure of Jiri Hudler during the 2015-16 season. The Flames were hoping he would be “the guy” to play alongside Johnny Gaudreau and Sean Monahan, and keep the fire going. Well, in his second season with the Flames, Brouwer has been the exact opposite of expectations. Sure, there’s always the extra time a new player may need to become acclimated to his new team’s style and strategy. But that extra time should not be two years. Given his history in the NHL, Brouwer was expected to come in and provide a big, physical presence with the ability to score timely goals and provide leadership and clutch goals come playoff time. But it’s nearing the end of the 2017-18 season, and the Flames and their fans are still waiting. Brouwer’s career really began taking off in his second full season with the Chicago Blackhawks back in 2009-10 where he tallied 40 points (22 goals, 18 assists) in 78 regular season games, while adding another eight points (four goals, four assists) in 19 playoff games, including winning his first Stanley Cup ring. He would go on to have six straight seasons with at least 33 points and at least 17 goals, while playing for the Blackhawks, Washington Capitals and St. Louis Blues. Not only was Brouwer a consistent offensive producer, he was also strong defensively, making him arguably one of the top defensive forwards in the NHL during his best years. His big frame and physical style made him difficult for any team to game plan for, and it seemed the bigger the moment, the brighter he would shine. But unfortunately, Brouwer’s actions have yet to speak louder than the words spoken by Treliving post-signing. Just like any player on any team, Brouwer has had his good games. But those few good games are far outweighed by his bad performances and overall production since his arrival in Calgary. In Brouwer’s first season with the Flames, he managed just 25 points (13 goals, 12 assists) in 74 games; his lowest point total of his entire NHL career. As of Mar. 22, Brouwer sits with only 20 points (six goals, 14 assists) in 68 games for the 2017-18 season, and will likely find himself setting yet another career-low for points in a season. Flames head coach Glen Gulutzan has tried nearly everything to ignite the spark in Brouwer which made him such an attractive option when he was signed. He’s been slotted in on the right wing of every line, he’s been given multiple looks on the power play, and continues to be used on the penalty kill. At just 32 years old, he’s not yet old enough to use age as a legitimate reason for his sudden decline in production since coming to Calgary. As his second season with the Flames comes to a close, it’s becoming more and more evident he’s simply just not a fit with the team. And unfortunately, he’s not going anywhere. While it may seem like trading Brouwer is the way to go, it’s really not that simple. He’s currently in his second season of a four-year deal worth $4.5 million per year, a contract not too many teams would be willing to take on given his production since joining the Flames. At the time of the signing, $4.5 million seemed like a fair price for what Brouwer brought to the table. But considering Brouwer’s currently one of the lowest scoring forwards on the roster, and was nearly invisible during the Flames’ brief playoff appearance last season, $4.5 million is simply too much, which is also what 30 other NHL teams are thinking. Flames fans should expect to see Brouwer back for another two seasons, with likely the same production they’ve seen the first two seasons. While the slim chance always exists of trading him for a very small return, it’s highly unlikely to happen until the trade deadline of his contract year. After nearly two full seasons in a Flames uniform, it’s safe to say the Brouwer signing was not meant to be. On paper, everything looked great, and it appeared the Flames were getting just what they needed for a young, talented team. Although he hasn’t had success with the Flames, he could very well go on to find success elsewhere, similar to his success early in his career. But he just simply isn’t a fit in Calgary.